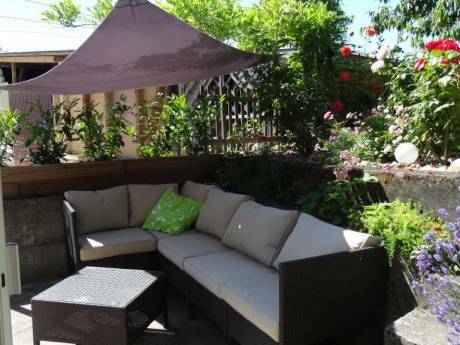 Spend some time on the Swiss riviera in our beautiful, modern and perfectly located flat! It's in Vevey, a cute small town, 5 km away from Montreux and near Geneva and the Swiss mountains (10 minutes by train!)! Our flat is 100 m2, has got 3 big rooms (one bedroom with Japanese bed - but soon a "normal" one !) for 2, and another room with an optional bed for 1 person). Each room has got its own bathroom (one with bath and shower, the other one with shower). 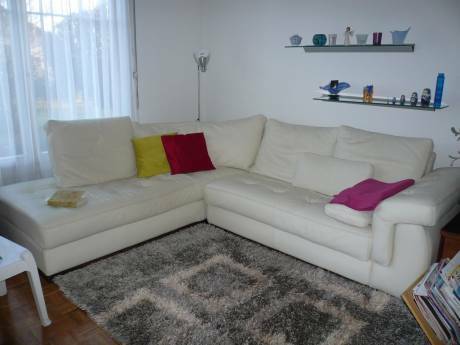 The living room is really spacious (around 40 m2), with big TV (flat screen) and a very comfortable sofa. Open kitchen with modern oven, dishwasher,nespresso coffeemachine (with caps), and table for 4-5 people (open kitchen). 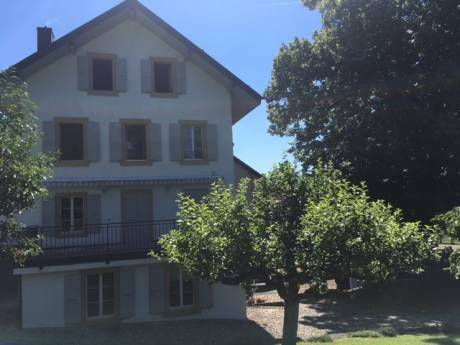 It's the ideal place to stay if you like swimming in the lake in the summer, going hiking and if you want to visit Switzerland! ps: second floor, no elevator. looking for a motivated FRENCH TEACHER who lives in the United States and who would be interested in swaping our JOBS AND FLATS FOR ONE YEAR (August 2011-2012).